So you’ve decided collaboration is your priority this year. You’ve set out the time, you have talked about the research on teacher sharing, you are ready to get the teachers in your school working together. Teachers are keen and motivated. And what happens? Not very much. I have lived this experience and hear stories from other schools that are similar to this all the time. Despite our best intentions and despite having great staff, the result of collaboration time is not what we expect. The time we have put aside is not leading to the progress we expect. So what might you do? I would argue from experience that what is needed is a plan for the collaboration, a framework that informs the people who are coming together what to talk about and how to do it. Some people might even call this an organizational structure. I am not alone in thinking that we need to give people more support in how they collaborate. Better minds that I have directed their efforts to this question and come up with solutions that make collaborative time more effective. Educators that I respect and follow such as Simon Breakspear, Dylan William, and Cale Birk have worked on this subject. In my experience, the tool that has been the most effective for maximizing the impact of teacher collaboration time has been Learning Sprints. The time we have to meet and work collaboratively is precious, using Learning Sprints has helped us to ensure that our time is focused and leads to impact. This is not some crazy native advertising. I don’t work for Agile Schools. I just find that this works. When we put this in place, we made more progress for our students. In addition to defining how and what we work on, it also allows us to change our focus to what is important. A Learning Sprint is a short cycle that allows different concerns to be addresses, or at least different aspects of the same issue to be worked on. I have had the opportunity in last few weeks to speak with educational leaders across 3 continents and I found it interesting that most of them had a sense of the pedagogical issues they needed to address, but they were all struggling with how to ensure the changes were made. They knew that their students needed support with: reading, emotional regulation, numeracy, writing, etc. What they needed was a structure to allow them to work on these issues with their teachers that would cause learning. When builders go into a construction project, they not only have a blueprint, they are also have structures that let them meet to ensure safety and that the different trades have what they need. They same should go for our work at a school. 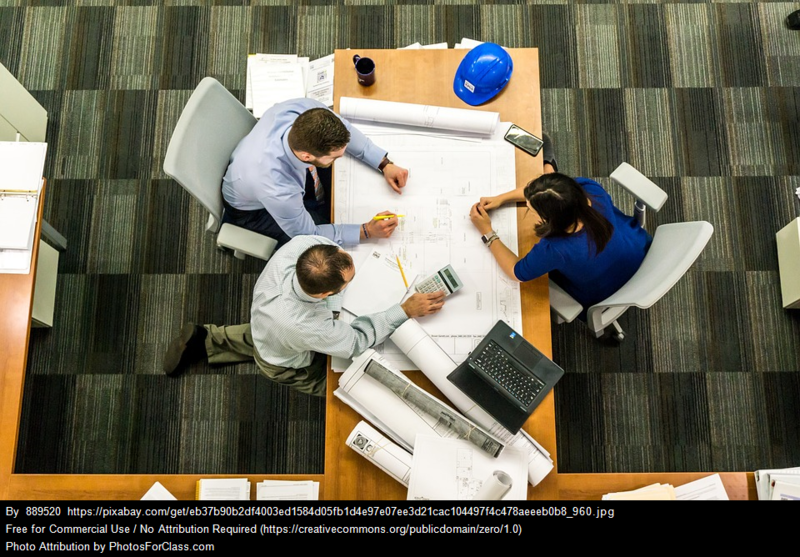 Build in the structure of the meetings so that all are focused on the goal and everyone has what they need to improve the learning in their class. 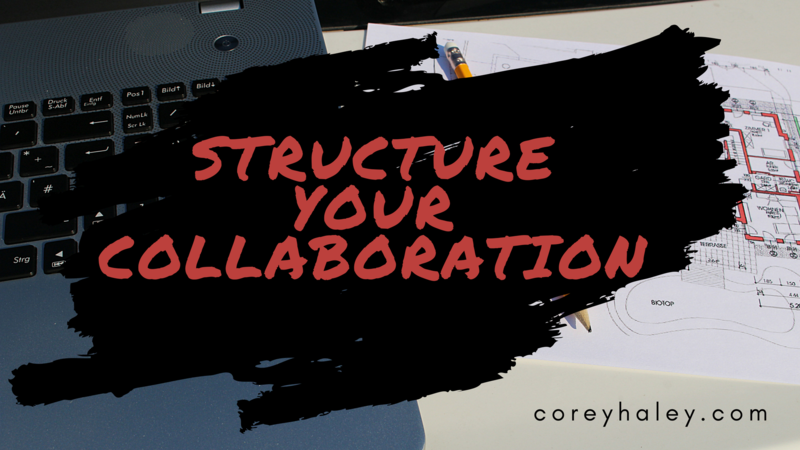 Are you thinking about making time for teacher collaboration? Great work, it can be a positive addition to the professional learning at your school. If you already have this time set aside and are looking to get more, try using this organizational structure that will increase your efficacy. 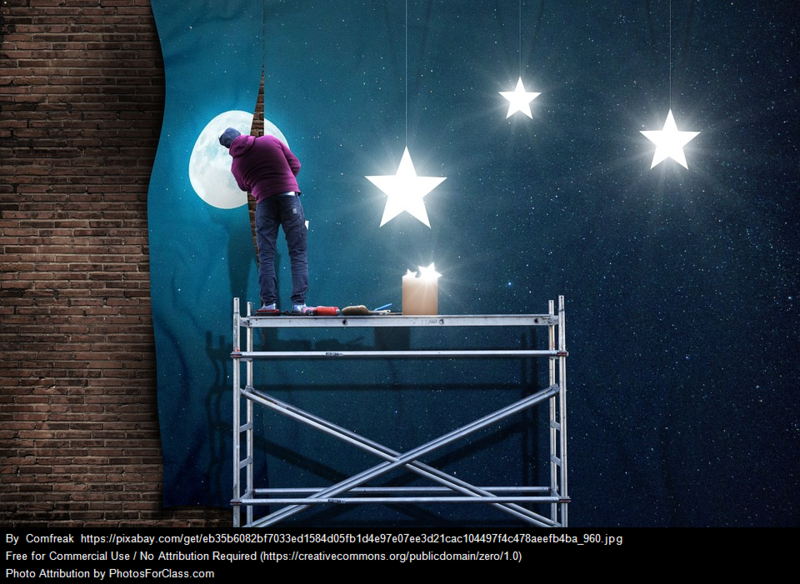 Check out the Agile Schools website for much more that a way to structure your collaboration time. Investigate the protocols that are offered for even more ways to pinpoint your target focus, investigate how to make progress, come together on a strategy and build assessments. Reflecting back on the best improvements that I have made as a teacher and as a leader, they usually come from a moment of inspiration. That moment might be a great conversation, a conference or workshop, reading a book or article, or even seeing another teacher in action. In other words, improvement needs a spark. 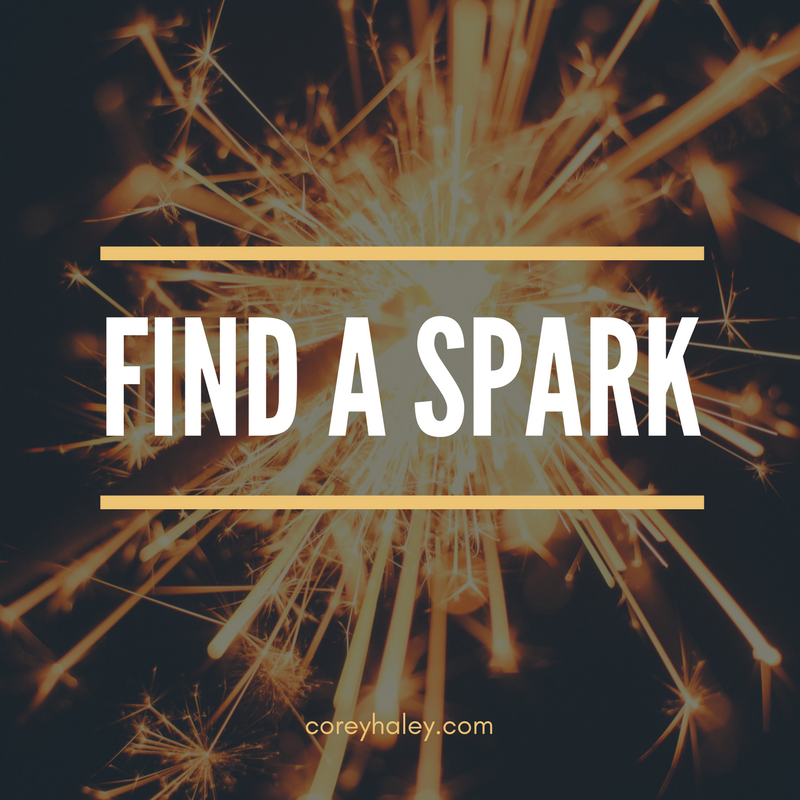 We sometimes get lucky and our spark finds us, but most of the time we need to find a spark. We need to have the conversations, get the books or articles, connect with the colleagues who inspire us, register for the conferences. If we continually wait for a spark to come to us, we are being inefficient with our time and ability. Every teacher has lived moments of doubt and low motivation. It seems the days drag on with no change and no inspiration. Want to change that? Get inspired. Break out of your rut find something new. Find a spark. There are so many excuses not to find our motivation. No money for professional learning. No other colleagues who are interested in what I am into. No time to try something new. The weather is bad. My students are difficult this year. The list goes on. Here is the thing, the excuses don’t go away. Put yourself in a position to be able to be inspired. Put yourself out there. If you are struggling with something, find ways to make your path easier. If you are uninspired, connect with inspiring people. It is easier today to get inspiration than ever before. Find great educators and leaders on the internet or social media. This is one way that these tools are making our life better. Finding the spark that gets you moving in the right direction, that gets you on the path to improvement, that makes you put in place habits that will encourage your continued improvement is what you need. Go find it. We both know that our professional lives and personal lives are linked. Maybe this spark is what you need to a better person, to feel better about yourself, to feel empowered. When we are successful at work, we feel good about ourselves. Get out there. Find a spark. Get better. It is Spring Break in my part of the world, which means teachers and students have some time to reconnect and relax. My wife and I have even had a little time to get away and enjoy the beautiful Alberta Rocky Mountains. While on our getaway, she shared a story of working with some clients that needed some extra help. People who were having a difficult time and were struggling to ensure their family was safe. She needed to evaluate how she might best help and in the end she was able to assist them. Afterwards, the clients expressed how thankful they were and how they felt cared for. What her story reminded me of was that people need kindness, care and love. Her clients were grateful for the help, but they also needed a caring relationship. I believe this to be a universal truth. I believe that we are all looking for some kindness, caring and compassion. I believe we are looking for a little love. I say this because it is my belief that at the core of teaching are the relationships that we develop with our students and community. Teaching and learning is about relationships. The progress we make is increased when our students feel cared for and loved. All great teachers and school leaders know this and constantly work to develop the relationships that they have with the people they serve. We can espouse the virtues of self-reported grades as one of Hattie’s top strategies until we are blue in the face (and trust me I do… I am a huge Hattie fan), but the reality is that if a student doesn’t trust you they won’t give you their true vision of their capacity. In fact, when looking at a list of the most effective teaching strategies almost all are much more powerful when a strong relationship exists. This idea also reinforces a truth that has been circulating among educators some time. The idea that we serve people and that people should drive our decisions. This idea relies on data and information, but always circles back to the individuals that we serve. Have you ever been in a meeting of teachers and someone pulls out the Visible Learning strategy list and says something like “Alright, let’s start at the top and work our way down”? This would be the opposite of human driven decision making. By blindly starting at the top of the list we forget that the students we serve have individual needs and priorities. We need to let both the data and the people guide us. Notice how I did not say, “forget all the data stuff and just be kind to the students”. There is a bit of a Maslow’s hierarchy going on here with interplay between the levels. At the base is the love we show and the relationship that we develop with students. If we stay at this level, learning will not be effective. We need to ensure that we are leveraging the relationship and the knowledge we have of our students to move them forward in their learning by using effective teaching practice and refining our strategies all the time. We need to be effective teachers, but this is done more easily when we show our students a little love.